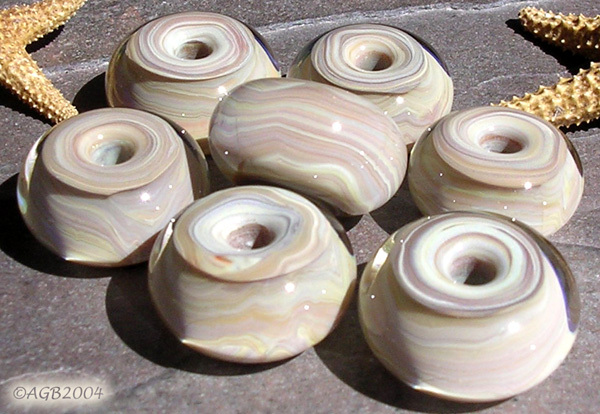 This set features lampwork beads in a beautiful neutral light tan color with light peach and ivory swirls. 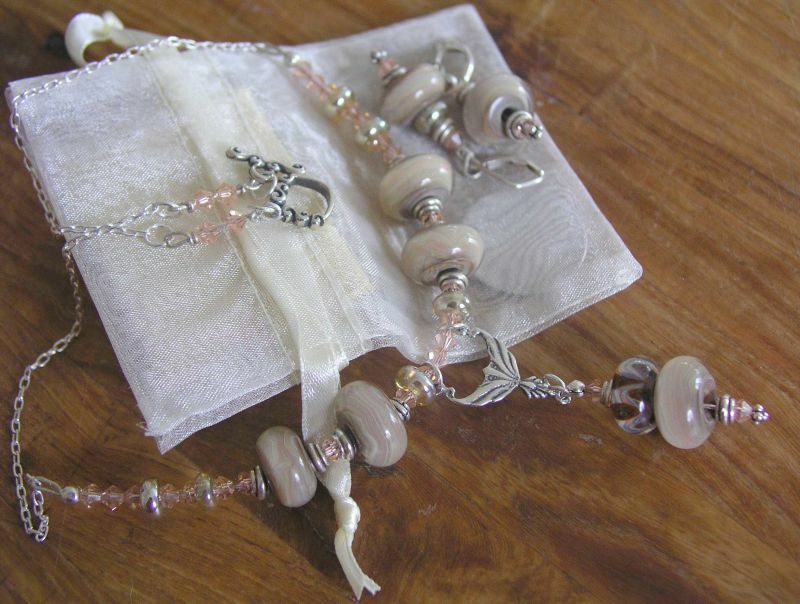 Swarovski crystal highlights the peach color of the beads. The necklace and earrings would work well with your more dressy attire.